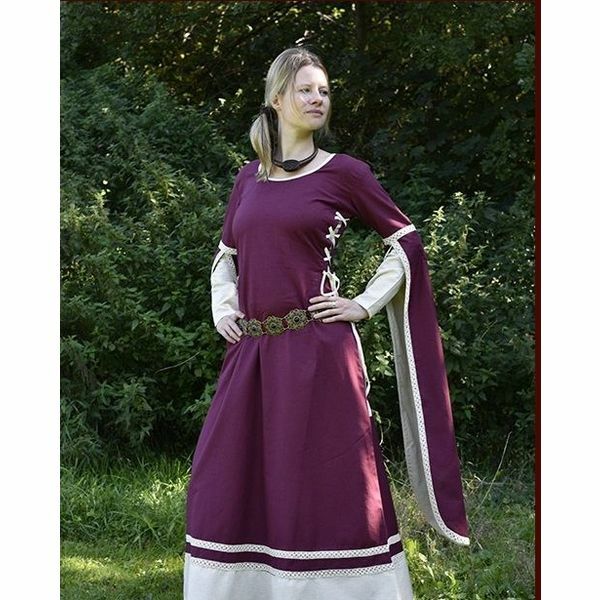 A beautiful medieval dress with elegant long sleeves, adjustable to the correct sizes with the side ribbons. The sleeves and seam of the dress are finished with lace. Contrasting natural colours are applied to the finish of the neckline, and the seam of the sleeves. 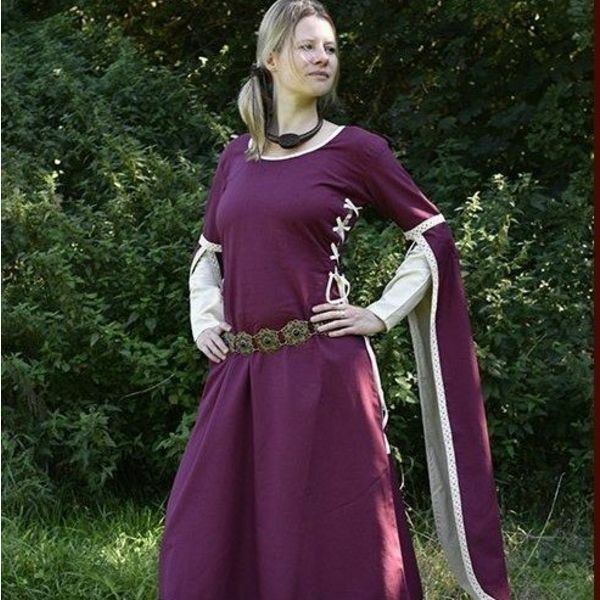 This dress will make you stand out at medieval markets and re-enactment events. Available in the sizes S/M (38) and L/XL (40-42). The fabric material is 85% cotton and 15% linen. The available colours are burgundy-natural, brown-natural and olive-natural. 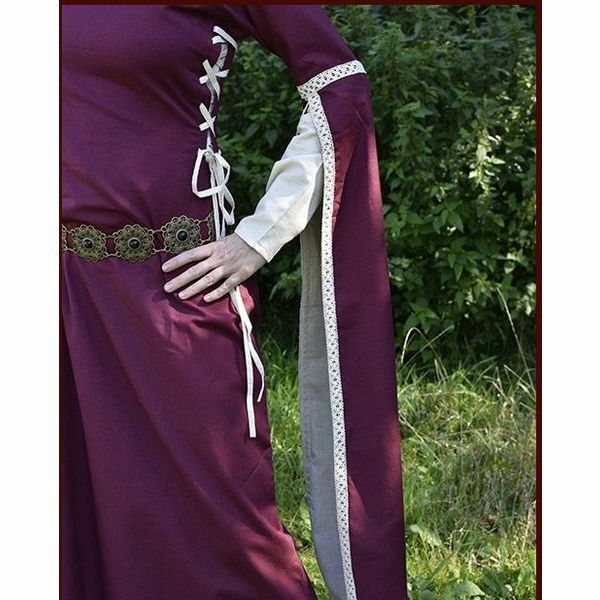 The length of size S/M is 147 cm and the length of the sleeves is 59 cm. The length of size L/XL is 147 cm and the length of the sleeves is 60 cm.